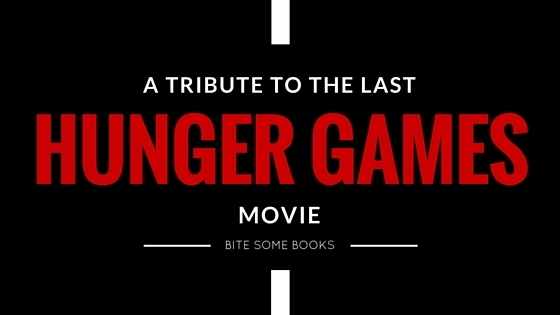 I started being a tribute (a fan of The Hunger Games series) on 2013. I know.. I know.. I'm one of those losers who read the books after watching the movie. Some might say that people like us aren't real fans, but then again, who are they to judge us like that? What matters is that we're all on the same fandom, no need to give your us the cold shoulders. But, the thing is, before the movie hit the theaters, I didn't even know there was a thing called The Hunger Games, I only found out a week before the premiere. During that time, I was head over heels for Joel Courtney, the guy who from Super 8. One day, I was reading his biography and found out that one of his favorite books was The Hunger Games, I looked it up, and was thrilled to see that it was going to be in theaters, IN TWO DAYS! So, without knowing what the movie or book is about, I watched the trailer and decided to give it a shot. I fell in love with Peeta Mellark, Katniss Everdeen, and everything else. The story was amazing. The romance was swoon-worthy yet so sad. The CGI was superb. The arena was so cool. Everything was so unpredictable (of course, I haven't read the book yet). I remember walking out of the cinema and being able to hear my heart drumming in my ears because of that feeling. That feeling you get when you've just watched something that will ultimately change the course of your lives forever. I remember talking about the movie non-stop with my sister. I also remember that I didn't want to hear the radio on the way home because I needed to let the feeling sink into me some more. And so after that, I started reading Catching Fire. I simply decided to read the second book first because I thought, why not? I've watched the first movie, surely reading the second book after that wouldn't be a problem, right? Well, I wasn't entirely wrong, but reading Catching Fire without reading The Hunger Games first felt kinda weird. So, after finishing Catching Fire, I continued on reading Mockingjay, and finally, The Hunger Games. I remember memorizing my favorite lines and writing them down on my book so I could read it later. I also remember how overprotective I was every time someone wanted to borrow my complete trilogy set. Waiting for Catching Fire to come out was a torture. It was my favorite book of the three, so I guess it was pretty much expected. I remember how happy I was when I finally got to watch it. I was in a boarding school with very strict rules, so I had to make up some kind of fake excuse in order to go to the cinema with my whole family. A year after that.. Mockingjay Part 1 came out. I don't know why, I think it was my least favorite of all the movies so far. It had a lack of action and dragged too much. I remember being sleepy in a few parts. 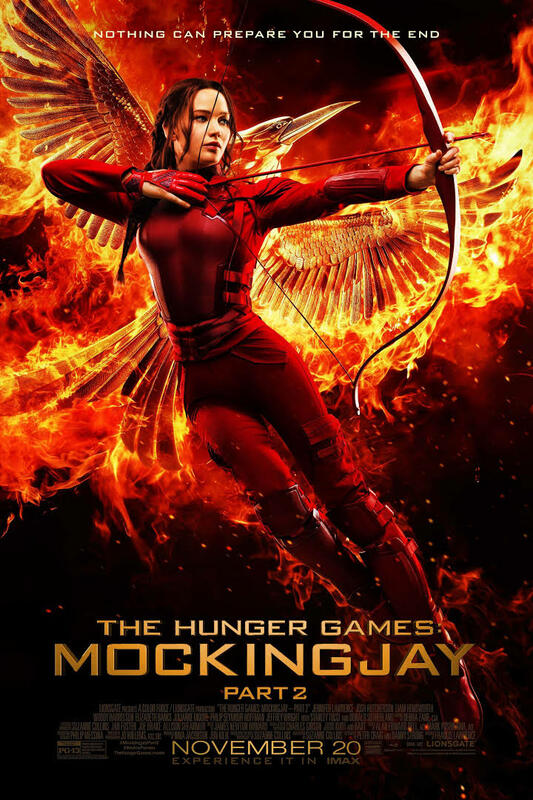 Perhaps Lionsgate was just trying too hard to make more money. But, oh well, YA movies these days are split into two parts, aren't they? I guess it's a trend now. And now.. Out of nowhere.. After a whole year of fangirling, waiting, and crying. Mockingjay Part 2 is only a few days away from me. I can already feel its presence. It's going to haunt me in my sleep. I'm going to sleep with Peeta's face on my eyelids and Katniss's children's faces in my dreams. I hope it will be a great finale. I hope everything will be satisfying. I hope they don't mess it up. And I truly, truly hope that they don't change Peeta and Katniss's children's genders (I read somewhere that they cast JLaw's nephews as the children, which means the children will be both males). I hope all my waiting will be worth it. I hope.. I hope.. I hope everything will be perfect. Oh, great. I think I'm tearing up a little. Lastly, I just wanted to say thank you to Suzanne Collins for creating this amazing series. I also wanted to say thank you to all the crews and casts of the movies for making this series come alive. Nothing can describe how thankful I am for you all. I know they won't be reading this, I even doubt anyone will so much glance at this post. But, then again, my gratitude needs to be expressed, or else I'd burst. I've just finished writing a very angsty blog post, I think we all need a distraction to continue on living our lives peacefully and happily. Oh, they're so cute! What were we talking about again?